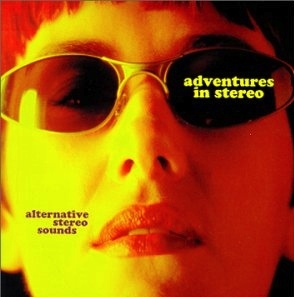 After their previous band Spirea X split up in 1993, Jim Beattie and Judith Boyle took a year out before forming Adventures in Stereo, bringing in Simon Dine, who had been the manager and co-producer of their previous combo. They were a trio who created music based on sampled loops created by Dine with Beattie adding guitar and Boyle the vocals, but in the fullness of time expanded into a six piece before calling it a day in 2000 after a handful of 45s and LPs, most of which were issued on the Edinburgh-based Creeping Bent label. I never owned anything of theirs at the time but have picked up second-hand copies of some singles in recent times. One of these has the catalogue number of bent019 and is a split single, released in 1997, with the other side featuring the very talented and wonderful The Leopards who are a Scottish supergroup of sorts with its members all having played in a range of indie-bands over the past 30 years – they are also the musicians Lloyd Cole now turns to when he needs a full backing band here in the UK and they played a couple of great shows in Glasgow in 2014.